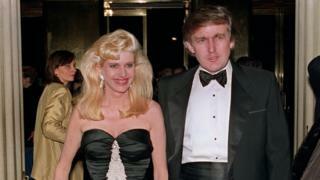 “Part of the beauty of me is that I’m very rich,” Donald Trump once said, but according to Forbes magazine he’s much less rich than a year ago. The business magazine has reappraised the Republican White House hopeful’s personal wealth and found it has haemorrhaged $800m since 2015. 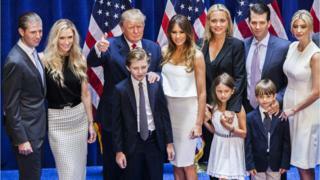 Forbes now estimates the real estate magnate’s net worth at $3.7bn (£2.7bn). The publication said the decrease was mainly due to the “softening” of the New York property market. Mr Trump, who once wrote a book called Midas Touch, has said the country needs a dealmaker-in-chief in the White House. So how did he lose $800m? Forbes, which has been counting Mr Trump’s wealth for more than three decades, cites the decline of the New York retail and office real estate market for the slump in his wealth. 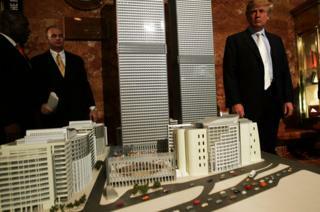 Of the 28 buildings that Forbes assessed, 18 declined in value, including his flagship Trump Tower on Manhattan’s Fifth Avenue. His property at 40 Wall Street and Mar-a-Lago, his private club in Palm Beach, Florida, also lost value, according to Forbes. But seven Trump properties, including San Francisco’s second-tallest tallest building, increased in value. How much has his campaign cost him? A central tenet of Mr Trump’s candidacy has been that his ability to fund his own White House run meant he was not beholden – like his rivals – to major donors. 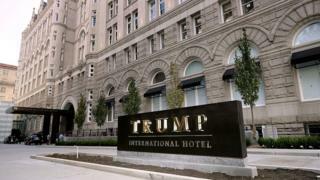 He has invested about $50m of his own money so far in his presidential bid, but has clawed some of that back by, for example, locating his offices in Trump Tower and billing his campaign for rent. Forbes estimates his controversial remarks about Mexican immigrants during his campaign launch cost him about another $100m in lost deals with NBC Universal, Univision and Macy’s, among others. This is the great unknown. 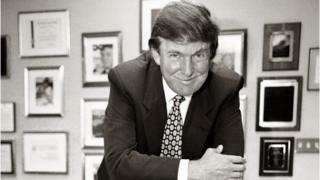 When Mr Trump filed his financial disclosure with the Federal Election Commission this year his campaign said he was worth “in excess of TEN BILLION DOLLARS”. But Forbes says he is worth $3.7bn, Bloomberg puts it at $3bn and Fortune says it’s $3.9bn. One reason for the discrepancy is that Mr Trump counts the value of his brand – by his own estimate worth some $3.3bn. Critics also accuse him of routinely overstating his income by conflating business revenue and income. Would tax returns show his actual wealth? Mr Trump’s refusal to disclose his tax return has fuelled speculation that his bank balance is not as huge as he claims, or that perhaps he’s not paying his fair share of taxes. Hillary Clinton suggested at Monday’s debate that the return may reveal “something really important, even terrible, that he’s trying to hide”. But even if he did release his tax returns tomorrow, they would be unlikely to give a true sense of his real wealth. Tax returns report income and taxes paid on that income, but would not provide a full picture of the value of his assets or his debt.